Ammannia Waterwort is an erect annual herb, usually less than 50 cm high with hairy stems. 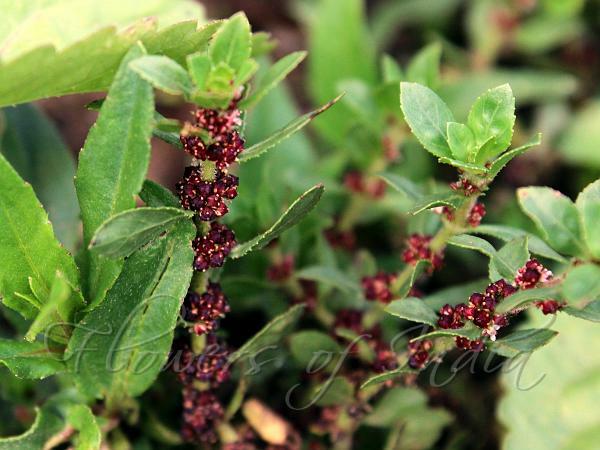 Leaves are elliptic to oblong, to about 3 cm long, pointed, hairless or with scattered hairs. Tiny reddish flowers are borne in dense axillary clusters. Sepals are 5, 2-3 mm long, pointed, hairy. Petals are also 5, 1.5-2 mm long, blunt. Stamens are 5, ovary 3-5-locular, styles 3-5. Capsule is nearly spherical,about as long as the sepals, seeds numerous, cylindrical, slightly pitted. 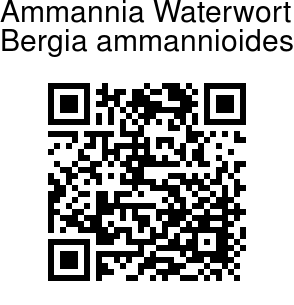 Ammannia Waterwort is widely distributed globally. Identification credit: Anurag Sharma Photographed in Tharalu estate, Bangalore.